Product prices and availability are accurate as of 2019-04-16 15:19:24 UTC and are subject to change. Any price and availability information displayed on http://www.amazon.com/ at the time of purchase will apply to the purchase of this product. 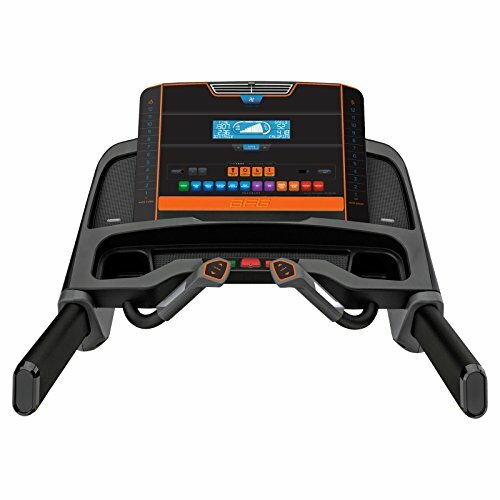 When you want to do more than just power-walk while you watch the news, the AFG 3.3AT Electric Treadmill is going to help get you to where you're going. 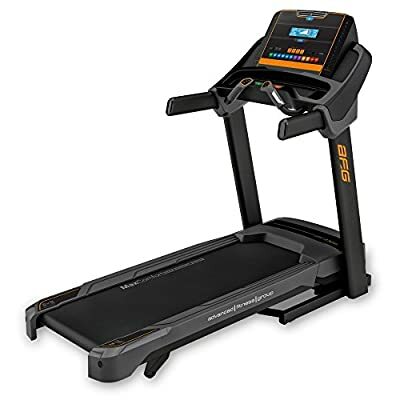 This durable, versatile home treadmill opens up a wide range of exercises and programs that take you from a simple warm-up to an intense, fat-burning cardio session. Additional Information: Welded steel frame and solid, sway-free design Track your progress with a running track display Livetrack™ fitness journal organizes your stats 7.5-in. blue backlit LCD display Contact grips with heart-rate sensors Quick-key adjustments for speed and incline Energy Saver™ technology reduces power draw Sonic Surround™ speakers with MP3/iPod compatibility Adjustable COOLfit™ fitness fan Storage for tablets, phones, and MP3 players Folding design for easy storage when not in use About Johnson Health Tech NA Johnson Health Tech North America offers high-quality, innovative products under seven different brands and is headquartered just outside of Madison, Wisconsin. They have specialized in the design, production, and marketing of award-winning fitness equipment for over 35 years. Johnson Health specializes in the design and manufacturing of state-of-the-art elliptical machines, recumbent bicycles and treadmills. Their innovative designs include highly customizable workouts, data tracking and storing technology, and compatibility with MP3 players, including speakers. Many of their products feature several LED displays to better inform the user of progress, heart rate, and calories burned. Only through heart rate monitoring can one really track what kind of workout they are getting, so these functions are present on nearly all of their products. And of course, nearly all of their designs include preprogrammed workouts where applicable. This includes things like manual setting, hill climb, cardio burn, and endurance challenges. Heavy-duty home treadmill for serious cardio workouts. 2.5 CHP motor.